Our mission is for patients to be happy and productive by eliminating their pain and enhancing their appearance. Non-invasive, pain free vein therapy enables patients to immediately resume normal activities. Aesthetic services are often their logical next step to building their relationship with us. It is the expectation for our patients to become symptom free. With symptomatic resolution, they can enjoy active, pain free lifestyles and enjoy a new found confidence in their improved appearance. Seeing that smiling face and hearing how lives have been improved after a successful treatment is very rewarding to our team of physicians and certified medical professionals. Our brand stands for service and compassion. We genuinely care about treating every individual with dignity and respect while providing the highest quality medical care. Patients choose to be treated by our practice because they are confident in our excellent care and outstanding results. 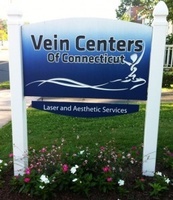 Our goal is to give the most complete and comprehensive care to all patients that elect treatment at the Vein Centers of Connecticut. Our knowledgeable staff helps patients navigate the insurance process for varicose vein evaluation and treatment options that are covered by most major health plans. We are skilled at building referral relationships with physicians and other healthcare organizations whose patients can benefit from our services.